The omens always were that the 2001-2002 season would not be a good one for my team. Practically the entire team had just graduated and only our main striker James Dimaculangan remained from the previous season’s starting line-up. Normally, I did not take in seniors who wanted to play for the team. There was just no time to mould them into anything. For this season, circumstance forced me to actually do so. By and large, however, the team was still going to be composed of fresh new sophomore and junior recruits, some of whom could not even tell a football from a baboon’s hairy arse. Having coached for so long, I knew that this season was going to be a trough in the endless cycle of peaks and troughs that football in Lipa was always all about. The team’s results in our high school league were, as was only to be expected, quite disastrous. However, I was not unduly worried because I had been through the cycle many times before. I knew that the results would dramatically improve the following year after the boys had gained more playing experience and had undergone further training. Somehow, despite the attention he was receiving, Dimaculangan managed to slip the ball towards the middle where winger Tyron Anciano had slipped unnoticed. Anciano made no mistake from close range to give us a 1-nil lead! There was this new league, however, that I thought was still winnable, my relatively weak team notwithstanding. The school had just joined the fledgling NCAA-South, an organisation intended for schools south of Metro Manila. A football competition was being organised for the first time. The calibre of the teams that were in this competition was not as high as that in our regular high school league, the RIFA. Thus, I thought that we had a chance of bringing home some silverware despite having had what was, in the RIFA, a season of forgettable matches. 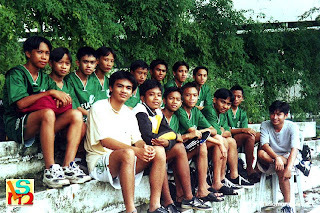 There was this school, though, that we knew well because we played regularly against it in the RIFA. At the time, the school was named St. Benedict’s College. These days, it is known as the Alabang campus of San Beda College. Whether as St. Benedict’s or as Benedictine Abbey, its even earlier name, that school had never defeated any of my teams in almost two decades of competitive football. This was a good time for St. Benedict’s to do so, however. They had a team made up mostly of seniors; and their players were probably at the height of their potentials as high school players. Quite the opposite, we had a team made up almost completely of greenhorns. The NCAA-South was a brief four-school tournament that called for a single round-robin league format, after which the top two teams played each other in a single-game final. We had little trouble disposing of Philippine Christian University-Dasmariñas and Colegio San Juan de Letran-Calambâ in the league stage. As expected, it was the game against St. Benedict’s that would be troublesome. Indeed, we narrowly lost the match, 0-1. I was upset with the way that we lost the match. It was not so much that they were superior. Instead, I felt that my boys allowed themselves to get intimidated. Such lack of spine never worked for me; and I loudly made my feelings known. 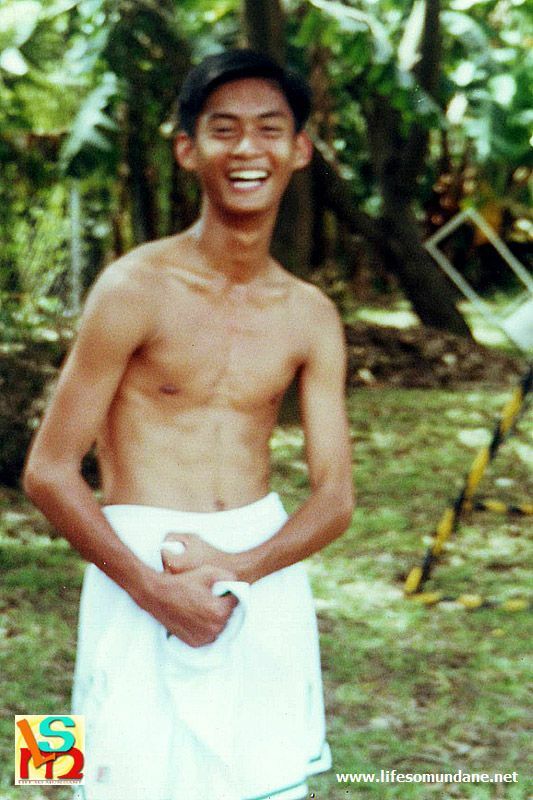 Naturally, St. Benedict’s did all it could to prevent our single recognised striker, Dimaculangan, from playing. Everytime he received a pass, he was immediately crowded in by three or four defenders. In St. Benedict’s narrow field, it was extremely easy to limit space to play in. This was what upset me. That Dimaculangan would be tightly marked was to be expected. He was, after all, the team’s most recognised and potent threat. The inability of the other players to lend support, however, was unacceptable. Because of the tournament’s format, and because I knew that we could defeat the two other teams, I knew that we would have a rematch against St. Benedict’s soon. While defeat earlier against the same team was a bitter pill to swallow, I was damned if I was not going to learn anything from it. In fact, from that defeat, I already knew how I was going to shape up the team in the final. Dimaculangan was given so much attention that I had every intention of using exactly this against St. Benedict’s. Prior to the final, the instructions were simple. Dimaculangan would kick-off in the center-forward role that he usually started in and that St. Benedict’s would probably expect him to play. I wanted him to quietly drift out to either wing, however; call attention to himself then quickly play the ball towards the middle where I had instructed either winger to go when Dimaculangan had moved outside. The ploy worked like a dream! Midway through the first half, Dimaculangan received the ball on the right and was immediately surrounded by four players. The middle was gaping wide open like the crater of a volcano. The high school teams of 2006, 2008 and 2011 won the competition as well; but I say hands down that that first-ever win will always be the most memorable. St. Benedict’s was probably the favourite to win the tournament; and that we did so with a young team made the victory so much sweeter.